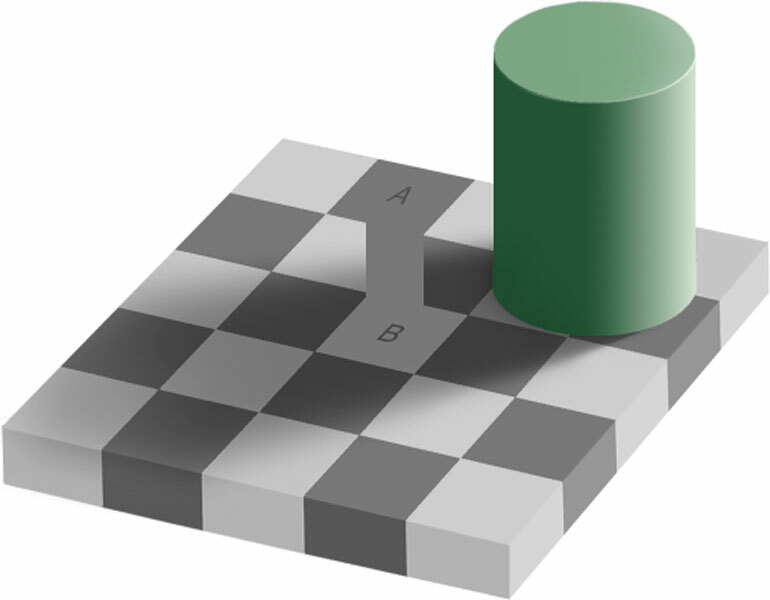 Image Credit: Edward H. Adelson, WikipediaExplanation: Are square A and B the same color? They are! To verify this, either run your cursor over the image or click here to see them connected. The above illusion, called the same color illusion, illustrates that purely human observations in science may be ambiguous or inaccurate. Even such a seemingly direct perception as relative color. Similar illusions exist on the sky, such as the size of the Moon near the horizon, or the apparent shapes of astronomical objects. The advent of automated, reproducible, measuring devices such as CCDs have made science in general and astronomy in particular less prone to, but not free of, human-biased illusions.